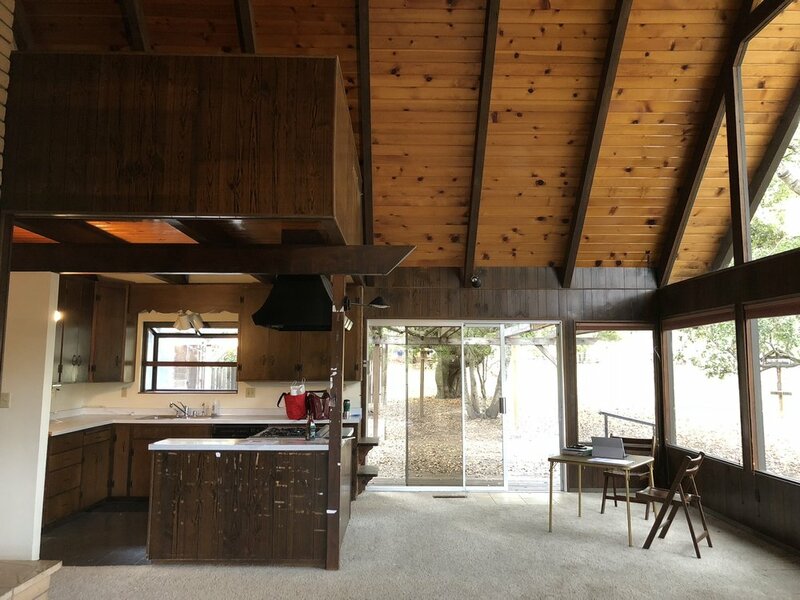 The first time we saw the house, I thought the kitchen was a little small and the island layout was funky. I've dreamed of the day I could make a "dream kitchen" so this was my chance. I was determined to get a waterfall countertop edge, a bar for extra seating, and enough counter space to spread out while we cook. We played around with A LOT different layouts (thanks to IKEA's online kitchen planner), and after multiple renderings, we found one that made the most sense. Here's the kitchen we are working with, so you can understand the space and see how it looks before we started demo! And here's the design we decided on! It made the most sense because it allowed us to have a large bar space (see the 2nd picture for the counter overhang for bar seating), a giant pantry cabinet next to the fridge that would also encase the fridge and the peninsula will be able to encase our sort of out of place post. It also meant we didn't have to move the window or the water, since the fridge was in this location before. By expanding our kitchen layout, we have to take out the slider and put in a smaller door to be able to put a wall up where the peninsula will attach to. 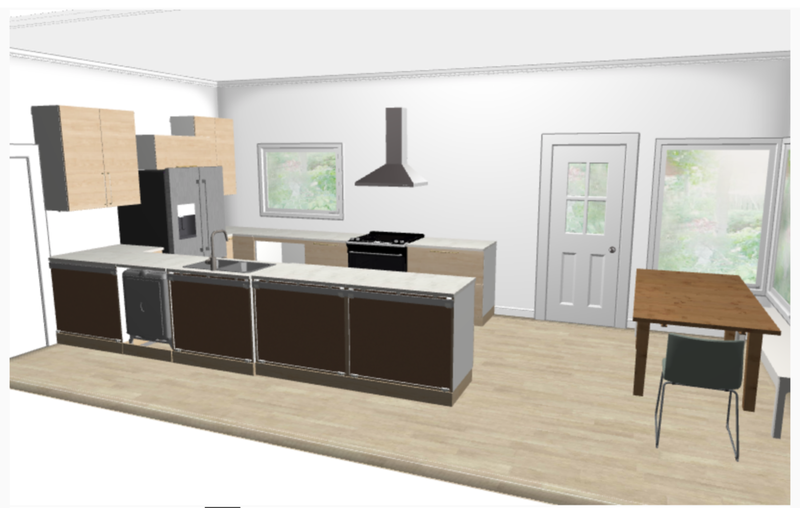 We've already made a few changes since the rendering below, so the cabinet edge will extend out under the bar overhang so that it contains our stools better, the side cabinet of the fridge is becoming a spice cabinet, and the floating shelves next to the hood will only be on the righthand side.